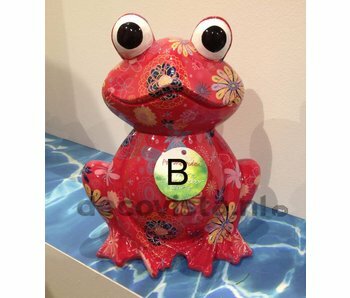 Pomme-Pidou represents a wide range of brightly colored gift ideas such as piggy banks and a weather-resistant Outdoor Collection of frogs, made of polyresin (spring 2016). Fun to collect and fun gift item. 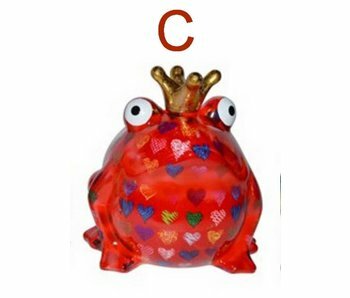 King Frog XL Big Freddy is a Pomme-Pidou money box made of ceramic. In gift box. Size: H 28 x 22 x 22 cm. Mouse Iki is a cheerful and colorful ceramic money bank. An original copyrighted design by Pomme-Pidou, Belgium. Very nice to get, but also fun to give away. Make a selection between the available colors. 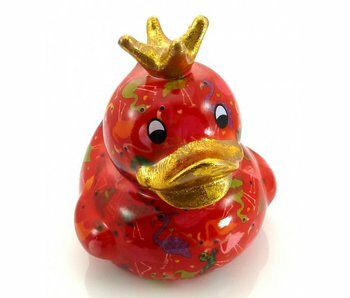 Ducky is a cheerful and colorful ceramic money bank. An original copyrighted design by Pomme-Pidou, Belgium. Very nice to get, but also fun to give away. Make a selection between the available colors. Pomme-Pidou represents a wide range of brightly colored gift ideas. 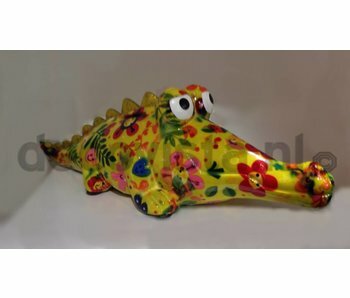 The smaller figurines are made of ceramics and in addition to the decorative function, they can also be used as piggy banks. The many models and attractive prices have made them real collectors items. The are partially handpainted and they come with a small booklet. 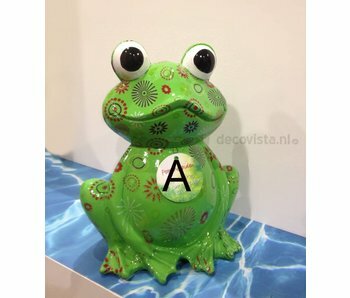 NEW: Pomme-Pidou has launched an indoor / outdoor collection of frogs made of polyresin. They are weaterresistant an UV-proof. Available end March 2016.